The success of new software system implementation depends on organization and users readiness to adopt changes, selected IT system which will be implemented and the Consultant whose will help on the implementation proses. The implementation process is the most important step in the proses of IT system changes, meanwhile, the IT system selection process that fits the industry and company business process is also playing an important role. 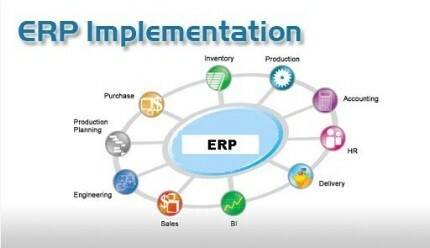 We adopt ERP Software implementation methodology combined with our experience in UAE and the needs from customers. e.g. : we check user readiness after training by doing an exam and hope we have a clear signal if the user understands and ready to Go live or need more training. Find out how you can configure, implement, and upgrade Software. Set up permissions, generate reports, and extend your software with add-on features. Sold exclusively through ERP Software partners, helps streamline your operations from start to finish, gain instant access to complete information, and accelerate profitable growth. BTC assists in the transition from a project-oriented, pre-production environment to a successful and live operation. BTC performs software configuration, system, and integration testing, and facilitates flexible end-user training sessions (online or onsite). We can implement our own knowledge and save you a lot of research time on the internet or jumping to your own conclusions based on rumors and incorrect information. Many of our consultants have both a technology and business background and they combine those to efficiently assess your needs and project. Many of our ERP consultants in UAE have years of experience in the business and with that experience, they have seen a lot of different projects, including pitfalls and successes. We’ll be able to easily assess what you need and save you time in research as well as time saved potentially implementing the wrong solution. Saving time and money is one of the main benefits of making the investment in ERP software solution Dubai. If you are an ERP novice or in an organization with a restricted budget, you should be especially interested in how Exactly ERP system will help you, for this our experts are here to assist you in every possible way. Every client is unique and we study client requirements and offers tailor made solutions to address their requirements. Our Professional Services Consultants Managers have extensive experience in ERP implementation UAE in many industries, including software, professional services, wholesale distribution, retail, financial services, advertising, media, and publishing, nonprofit and manufacturing. 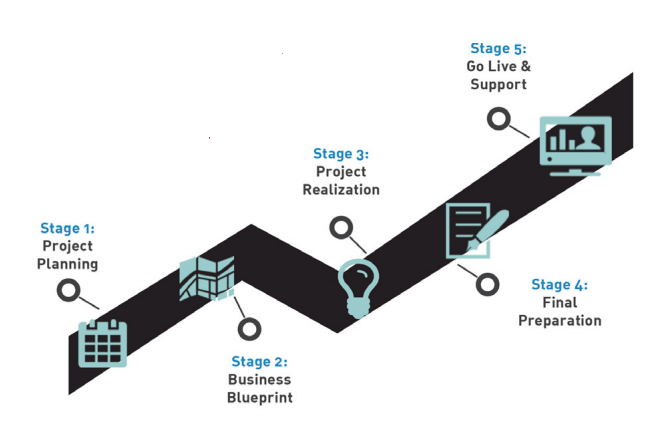 Project planning: This is the initial stage in which it is described that how to complete a project within a certain time frame, usually with defined stages, and with designated resources. Here analysis is done that what businesses needs and what our software offers, if there comes any business gap then how it could be possibly removed with the best of resources. Project realization: Here we do the things we planned in previous two stages and apply the documented things in practical. Final preparation: On successful completion of this phase, one is ready to run the business on the productive system. Deliverable 1. User Training, 2. System Management, 3. Detailed Project Planning for going live, 4. Cut Over plan, and 5. Data loading. On successful completion of this phase, you are ready to run your business. Go live and support: This is the final stage of ERP implementation. Here BTC helps you to finally go live and start the system and check if everything is working fine. If something is missed or can be improved then amended in this stage. A live system isn’t the end of your new journey – it’s the beginning of new possibilities for your business. BTC provides full support beyond implementation so you can maximize the value of your software investment. Our experienced Support team takes a hands-on approach to empower you to understand the software solution and make it your own system. In order to implement ERP successfully within a given time frame and cost the implementation team needs to have right knowledge of prior implementation, processes and best practices. Give us opportunity to be part of your team and use our expertise in implementing ERP successfully in Dubai while your team members can continue to focus on their operations.